Ashton Kutcher is an American actor and investor. 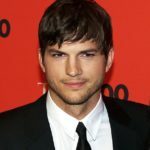 Kutcher began his career as a model and began his acting career portraying Michael Kelso in the Fox sitcom That ’70’s Show, which aired for eight seasons. He made his film debut in the romantic comedy Coming Soon and became known by audiences in the comedy film Dude, Where’s My Car?, which was a box office hit. In 2003, Kutcher appeared in romantic comedies Just Married and My Boss’s Daughter and, the same year, he created, produced, and hosted Punk’d which aired on MTV for five seasons until its revival in 2012. In 2004, Kutcher starred in the lead role of the psychological film The Butterfly Effect and gained public recognition. "My mom is still yelling at me because she needs more autographed pictures." "I’m from Iowa, we don’t know what cool is!" "I want to be like Tom Cruise from ‘The Outsiders’ and go on and do amazing movies for a long time." "I don’t believe that old cliche that good things come to those who wait. I think good things come to those who want something so bad they can’t sit still."